It's been a long time since I did a Fun in the Mail post, and I've had a pretty awesome month where that's concerned :) If you follow sewing blogs, you'll probably have heard about Sew Grateful Week. 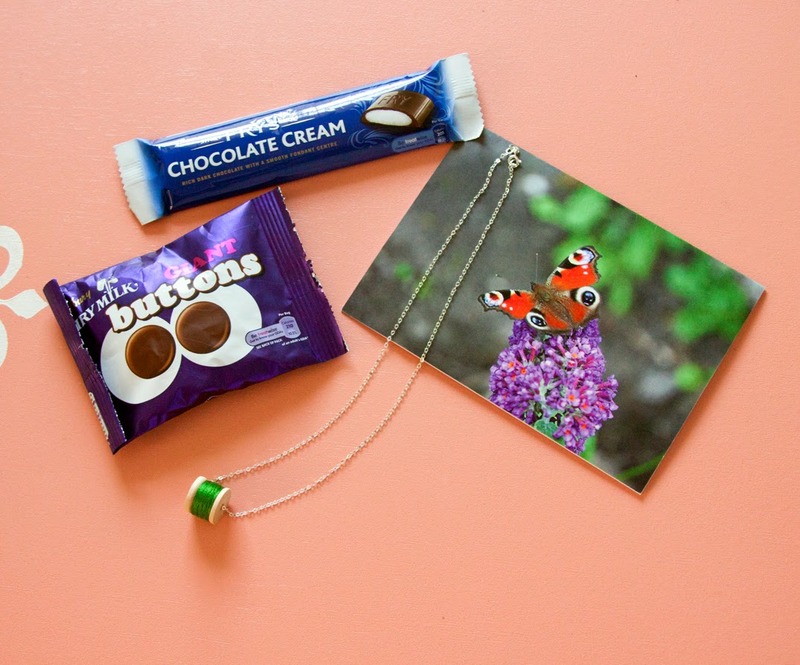 It's in February and sewing bloggers make certain types of posts on each day to thank their readers - one of those days is a giveaway. I happen to read a few hundred blogs on a regular basis, and I entered quite a few of the giveaways. It turned out that I won a few and I was stoked! My prizes have arrived over the last few weeks (two of them were from over seas), so I thought I would show off my loot, lol. 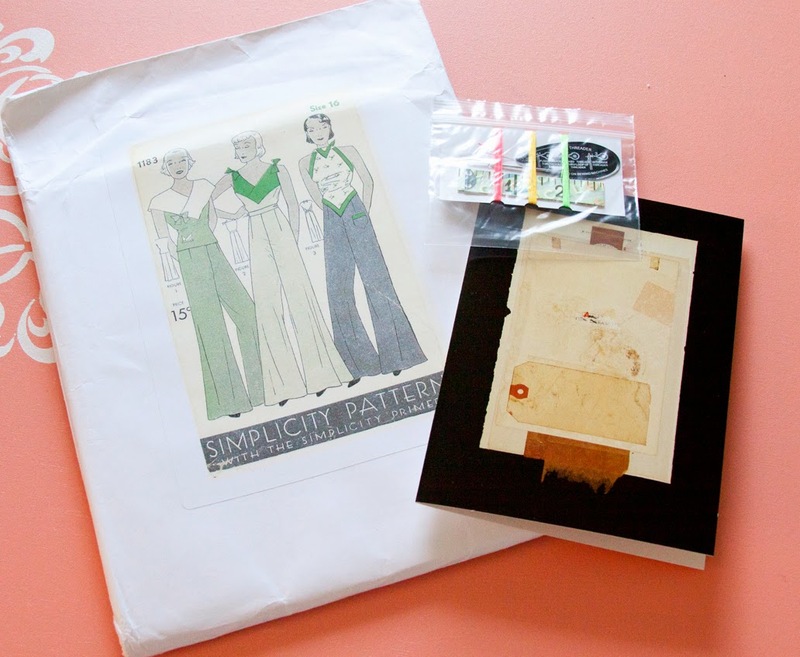 My first fantastic prize was this awesome reproduction pattern from Zips & Darts! I love the neat design and I'm really excited to try my hand at grading the pattern. Mary also included a neat card and a little mini sewing kit with a needle threader, ruler, and some thread. Thanks so much, Mary! I love it! Next to arrive was the first ever issue of Burda Verena Knitting Magazine from MaZe Living. Her blog is brand new (only a month old when the giveaway started), but she added a giveaway anyway - how nice, right? She sent me the knitting magazine (with some really cute patterns in it) along with some triangle shaped stitch markers. I've never tried these :) Thanks so much! This last week brought my final Sew Grateful prize - this custom thread spool necklace from Heavenly Handmades! Isn't it so cute?! I got to choose my color of thread and it's on a sterling silver chain. She also included some exciting Cadbury chocolates :) I can't wait to eat them. Thanks so much! 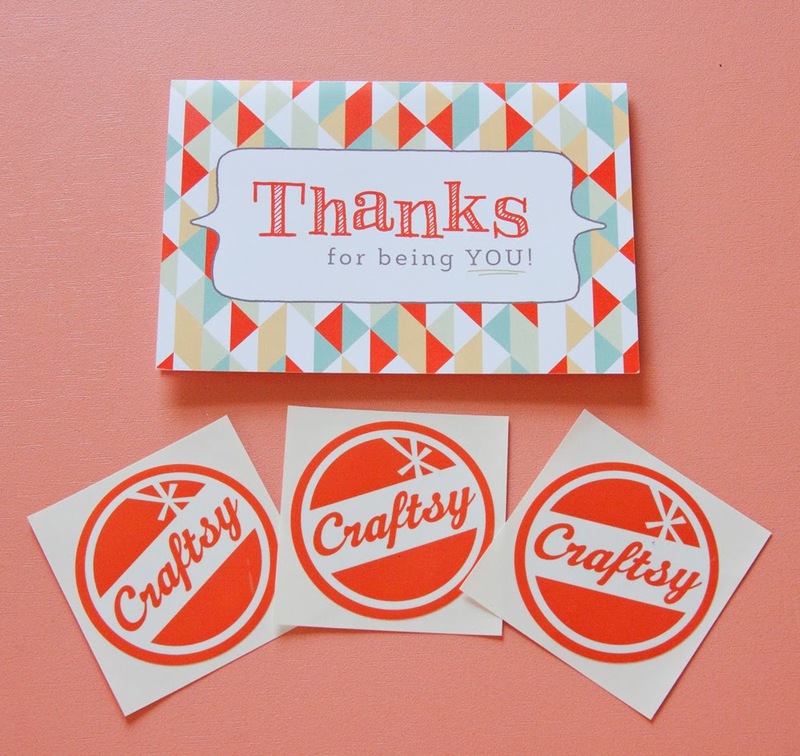 A few months ago, Craftsy invited me to join a new thank you program they were launching for their long-time members. I just had to put in my address and birthday, and then I forgot about it, lol. Well this weekend it paid off as I got a lovely card with these Craftsy stickers inside! And this wasn't in the mail, but it was delivered to me, lol. A lady at church was given this bag of extra yarn from a friend of hers. She took a few skeins she would use, then gave it to my aunt, who took 1 skein and then gave it to me :) I will be continuing the train of giving after I take a few that I know I will use. I've never really even considered some of these yarns because they are "novelty" - things like fun fur and whatnot. Since it's landed in my lap though, I'm excited to branch out and give them a try. After I'm done I will take it to the ladies at church and they can go crazy, lol. So as you can see I've had a very lucky month, lol. I'm so grateful for all my gifts and can't wait to put them to good use!